"one who works a lathe"
Turner is a common surname originating from Normandy, France, arriving in England after the Norman conquest with the earliest known records dated in the 12th century. It is the 28th-most common surname in the United Kingdom. Most often it derives from an occupational name applied to a maker of small objects out of wood, metal or bone, by turning on a lathe (from Old French tornier, "lathe", ultimately from Latin). In this sense it is analogous to the German surnames Drexel and Dreyer, Polish Tokarz, and related to English surnames such as Potter and Crocker. Other occasional origins include Old French tournoieur, referring to someone either in charge of, or who participates in a tournament, and Turnhare, referring to a fast runner (one who can outrun a hare). Early recordings of this surname include Ralph le Turner in the late 12th century. The earliest recorded spelling of this family name dates from 1180 for "Warner le Turnur". 1.1 Common combinations of given name and surname "Turner"
Common combinations of given name and surname "Turner"
George Townsend Turner (1906–1979), philatelist of Washington, D.C.
Jessie Franklin Turner (1881–1956), American fashion designer. ^ a b c "Last name: Turner". SurnameDB: The Internet Surname Database. Retrieved 28 August 2018. ^ Percy Hide Reaney; Richard Middlewood Wilson (1991). "Turner, Turnor". A Dictionary of English Surnames (Third ed.). London & New York: Routledge. p. 3188. ISBN 9780415057370. Retrieved 28 August 2018. ^ Powell, Kimberly. 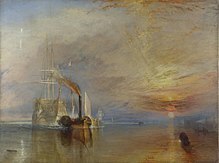 "Turner – Name Meaning and Origin". ThoughtCo. Retrieved 9 December 2018. ^ Elsdon Coles Smith (1986). American Surnames. Genealogical Publishing Com. p. 327. ISBN 978-0-8063-1150-0. ^ Patrick Hanks (8 May 2003). Dictionary of American Family Names. Oxford University Press. ISBN 978-0-19-977169-1. ^ William Alexander Francis Browne; Percy Hide Reaney; Richard Middlewood Wilson (1991). A Dictionary of English Surnames. Psychology Press. p. 3188. ISBN 978-0-415-05737-0. This page lists people with the surname Turner. If an internal link intending to refer to a specific person led you to this page, you may wish to change that link by adding the person's given name(s) to the link.